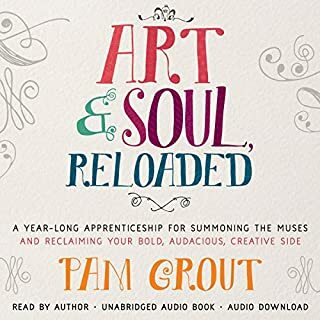 With her trademark humor, enthusiasm, and no-nonsense guidance, Pam Grout, the number-one New York Times best-selling author of E-Squared, invites you on a yearlong "apprenticeship" to recognize and unleash your innate creativity. Making art does not necessarily mean painting a gallery-worthy still life or belting out a Grammy-winning song. It simply means finding a way to give your inner muse a voice in this world. Nourish your soul and restore your faith in the goodness of the world as you begin to use its simple truths within your daily life. The time is right to hear its message, and to accept the invitation that awaits inside to a joyful and inspiring new life. Enjoyed this book immensely. I will be making gratitude jars for my Thanksgiving guests. I'm looking forward to the gracious future. I'm a voracious reader and I have to say that this is one of the BEST books I've EVER read! 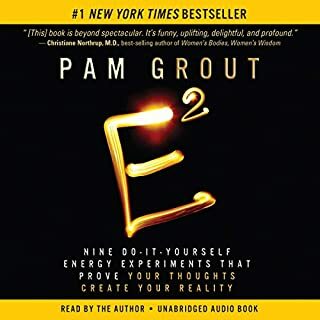 I listen to this book often at work. Have done the jar with a good friend. 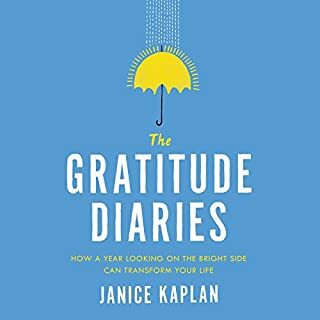 In s society that expects instant results, I knew about Gratitude, but I too could not wrap myself around doing daily journal entries. I also had fear of being asked to say Grace at the table. 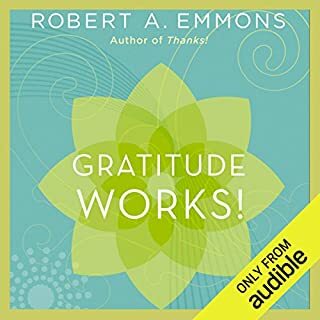 This book allowed me to see Gratitude for what it is, being in Grace instead of a chore that what you do out of obligation. Grace is a state of mind that slowly day by day & minute by minute that Law of Attraction shifts our vibration from a low void of what is absent in our lives to a self reflection to the abundant Universe that was really there all along. I finally get it! I am so grateful for your book. Sometimes the right things fall right in your hands at the right time. That happened to me with this book. Your honesty in the way you tell your story is very inspiring. Thank you so much. Loved this! There were many great additional ideas and variations of the jar at the end. I loved hearing about what had happened one year later, too. Josie’s Story is relatable, touching and inspiring. I really enjoyed this book. The author’s narration is rather monotone but totally worth listening to despite that! 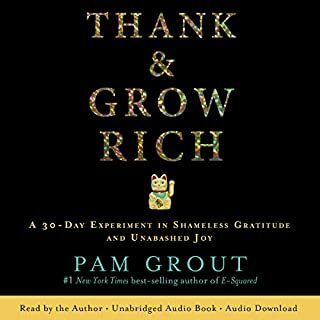 Where does The Gratitude Jar rank among all the audiobooks you’ve listened to so far? 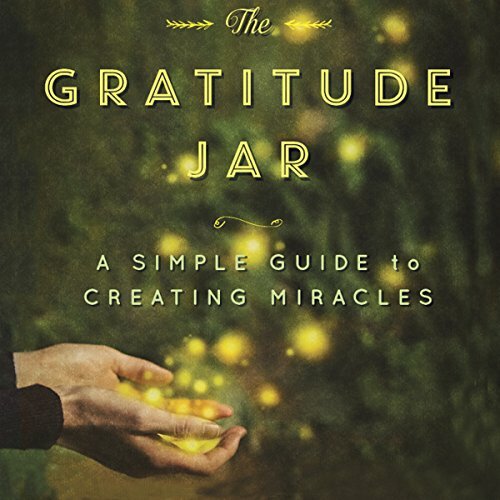 What was one of the most memorable moments of The Gratitude Jar? There were many wonderful heartfelt stories that brought tears to my eyes. What does Josie Robinson bring to the story that you wouldn’t experience if you just read the book? I loved this book. It's simplicity and once I started practicing gratitude my life has changed. Such an easy principal with such amazing results. Thank you Josie. I’ve made gratitude one of my resolutions this year. But how to start?! This perfectly little, short, sweet, authentic and very quotable book told me everything I need to know and reminded me why this is probably the best resolution I’ll ever make. I’m sure I will listen to it many times! Have already taken notes! 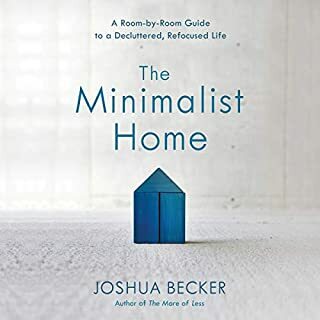 loved it, easy to listen to, with lots of helpful information. Very grateful to the author, thank you.